The 2014 Harris Merlot presents a beautiful varietal expression. The vineyard lies in a warmer area of Oakville that is recognized for fruity aromas of plum, while the palate offers lively flavors of juicy berries and tart cherries. Underlying hints of dried herb and sage add complexity and integrate nicely with the warm, toasty oak from the barrels. The texture is nicely balanced with a coating midpalate that carries this youthful fruit into a supple finish. This vineyard is planted on a large alluvial fan that extends from the Mayacamas Mountains, across the Branding Iron Vineyard, into Harris Vineyard, and reaches all the way to the western edge of the Rock Cairn Vineyard. 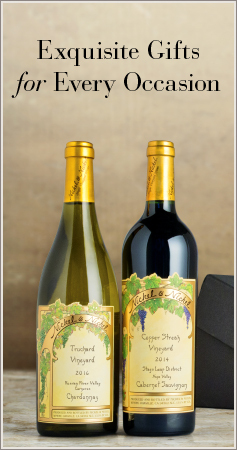 The vineyard’s Bale soil series are developed on alluvial fans and flood plains, while the Clear Lake soil series are found on old alluvial fans derived from sedimentary rock. 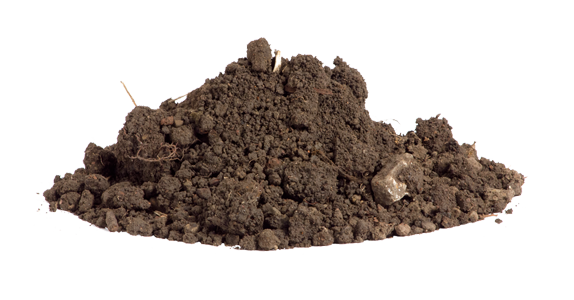 Both soil series can be found in this vineyard, giving it a gravelly clay loam. 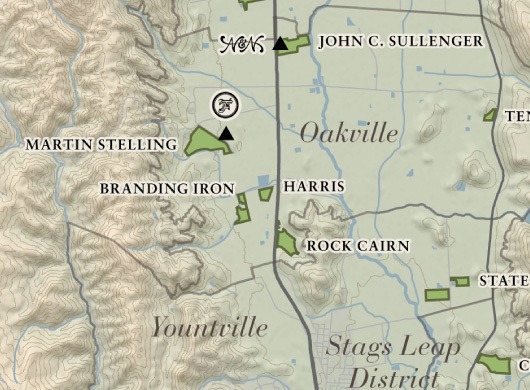 Harris Vineyard is located in western Oakville, just east of the Branding Iron Vineyard. Nickel & Nickel’s six acres are comprised of two blocks that offer a southern exposure and soil of gravelly clay loam. Thinning passes allow each cluster to hang freely, optimizing the trellis system, and taking advantage of the warm climate to reach full maturity. This was another beautiful growing season with an ideal spring that led to an early budbreak and bloom. Despite the low rainfall, canopies were very healthy and clusters were full. During the moderate summer months, we pulled the leaves around the fruit to allow adequate exposure. We thinned the fruit to let each cluster hang in its own space, and a warm September ripened the fruit nicely. We harvested this vineyard in the early morning when the fruit flavors were at their peak.